Create animated IT standards Landscapes by signing up for a Trial Account. The Dragon1 Step-by-Step Guide is waiting for you in your Digital Workplace. 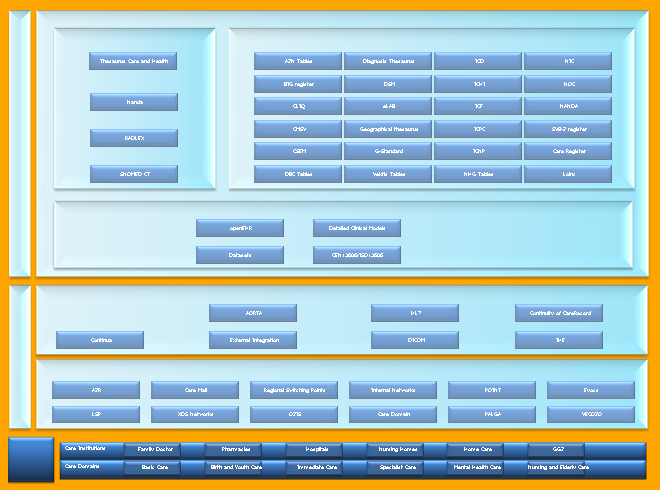 This example IT standards Landscape for Health Care is created on the Dragon1 Platform. What is an IT standards Landscape for Health Care? 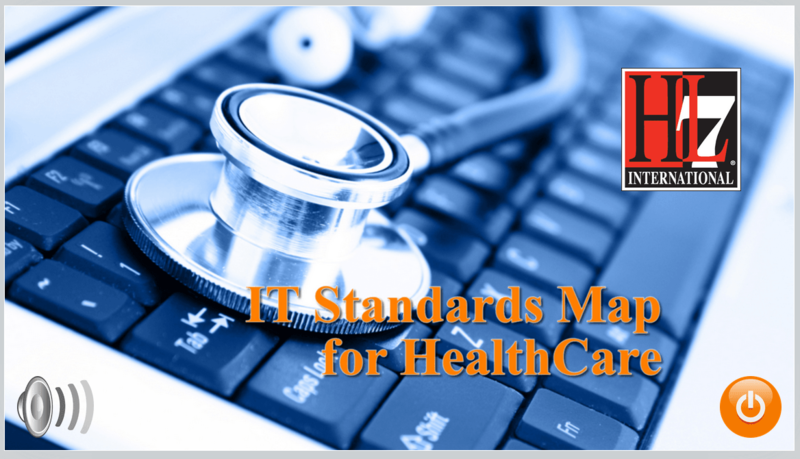 An IT standards Landscape for Health Care shows the IT standards that are available within the field of Health Care. Also, this landscape is a clickable map. Which means that if you click on a standard, you get a popup with background information of that standard. Click on the image to start the online demo of the it standards interactive map. Every industry has its standards to increase quality of work and enable cross organization collaboration. Think of standards like COBIT and ITIL. This also goes for the Health Care industry, with standards like HL7 and NANDA. When collaborating across organizations it is more than important to have an open and standardized way of communication data digitally. In other words: it is more than important to have a reference architecture model called IT Standards Landscape for Health Care. Especially with all these eHealth innovation going on. An overview of standards created to be used for enterprise standardization is really an architecture model. In Dragon1 such a specific architecture product is defined as: 'Standards Landscape Diagram'. The model that we have available on this page is a clickable IT standards landscape for a Dutch Health Care Organization. Creating compliancy in your organization is a process. Everyday people must have insights and overviews in order to be able to work on standardization. 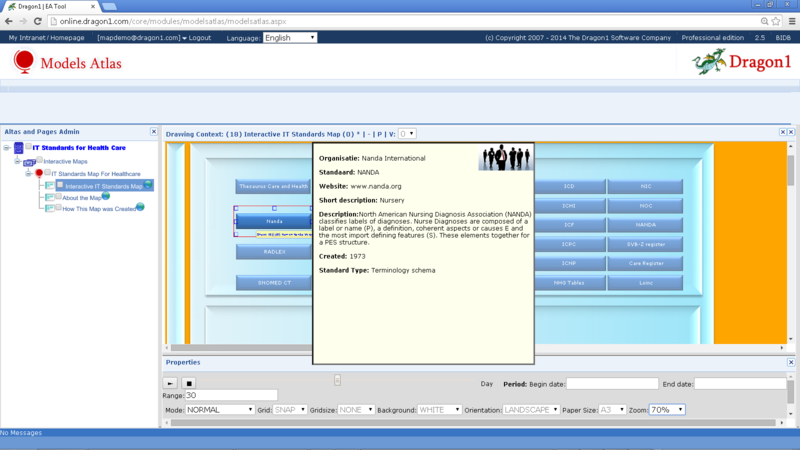 Having a clickable interactive IT standards landscape map for that enables and stimulates people utmost. On Dragon1 everyone can create a clickable map. On the screenshot here you a standard clicked on, showing a popup with extra information, you can again click on to go to another map or url. Speed up Results You can have your version of the interactive map after days by only updating the example. Dynamic Visualizations If you change model data, the map template is automatically updated. Repository Collaboration You can be productive as a team working together on a blueprint. Increase Efficiency of people and groups by deduplication of work and reuse of information. Work Anytime, anyplace, anywhere on any device. We hope we have inspired you to start creating IT standards landscapes. If you do not have the time and you need a IT Standards Landscape on short notice, consider also our Landscaping Services.